Folks, we are less than three weeks away from our June 5th primary. Besides the governor’s race, all of our secondary constitutional races are on the ballot. This voting ambivalence will result in a lower than normal turnout. This accrues to the advantage of incumbents and those with name identification. The governor’s race has not been that interesting. However, the Democrats have fielded quality candidates in that race. The winner of the June GOP Primary will have to mount a campaign in the fall against either Walt Maddox or Sue Bell Cobb. The secondary races are being lost in the shuffle of the avalanche of races on the ballot. The best race, as was expected, has been the Attorney General contest. 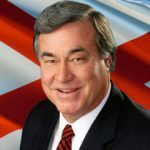 Former Governor, Robert Bentley, during his last days as governor, appointed an obscure former District Attorney named Steve Marshall, as the acting Attorney General. As expected Marshall did the bidding of Bentley and allowed him leniency in any further prosecution. Marshall has used every tool of incumbency to strong arm campaign contributions for his race for a full term. However, polling indicates that his efforts will be to no avail. With so little interest in the secondary statewide races, former Attorney General Troy King, is perceived as the incumbent and enjoys a comfortable lead in this race due to his name identification. As we head to “Amen” corner, my guess is that King leads the race and former U.S. Attorney Alice Martin is in a runoff with Troy King. Birmingham attorney, Chess Bedsole, could be a late surprise if he spends a significant amount of his own money. He is not a political novice. He was an integral part of the Donald Trump presidential campaign. The winner will probably face off against Joseph Siegelman, a handsome, progressive, young heir to an iconic Alabama Democratic name. The Lt. Governor race has changed very little since the beginning of the campaign season four months ago. Public Service Commission President, Twinkle Andress Cavanaugh, holds a commanding lead in all polls. She knows how to run statewide and has headed the state Republican Party. Even though her polling lead is daunting, her results in three weeks may even exceed her formidable lead in the polls. She has built a statewide grassroots campaign organization over the years, which her two challengers lack. The last polls reveal that Twinkle Cavanaugh leads Mobile State Senator Rusty Glover and Sand Mountain State Representative Will Ainsworth. Polls reveal that Glover will get a good friends and neighbors vote from his home Mobile region. This may hold him in good stead in a race for Congress in two years, if Mobile-Baldwin Congressman Bradley Bryne runs for the U.S. Senate in 2020. Will Ainsworth has made a significant television buy in the lieutenant governor’s race, which should propel him into second place in that contest. Secretary of State John Merrill will waltz to a second term as Secretary of State. He is the best retail politician on the Alabama political scene. Even though he has token opposition, he has probably outworked every candidate on the ballot. When his office counts all the ballots on June 6, Merrill will probably be the top vote getter in all statewide races. Right behind Merrill winning in a landslide, will be Agriculture Commissioner John McMillan, who will have an overwhelming victory as State Treasurer. Rick Pate has gotten a lot of traction in the Agriculture Commissioner race. He has garnered most of the major endorsements, including ALFA and BCA. Jeremy Oden and Chip Beeker should coast to reelection victories as members of the Public Service Commission for another four years. Beeker, Oden and Twinkle Cavanaugh should benefit from their recent vote to save Alabama Power customers $337 million over the next two years, a cut made possible by the Trump administration and Republican Congress’ passage of federal tax reform. Folks, that is a big win for Alabama’s economy. It is sure to put a smile on the faces of families and small business owners across the state. Cavanaugh, Beeker, and Oden deserve credit for making it happen.